The poem we call, 15. From time to time we come across street poetry. Found poetry. We have discovered street poetry in Florence, Italy, on the streets of New York City during Occupy Wall Street and in the Pilsen neighborhood of Chicago. 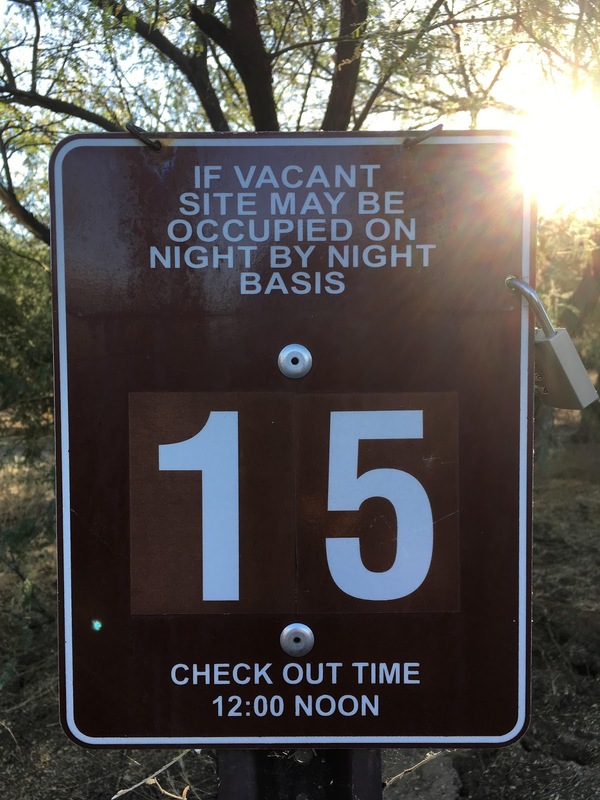 We have also stumbled upon found poetry by re-reading public service announcements in a different vein, as happened along the "L" in Chicago, an intersection in St. Petersburg, Florida and now in a campground in Arizona.